Grew up… playing her music extra loud. Abby was adopted by deaf parents, which means that she mastered sign language before she learned English. She also got used to listening to her heavy metal at an ear-shattering volume, since her parents never complained. Profession… forensic scientist at the Naval Criminal Investigative Service (NCIS). Abby is an expert in just about everything to do with solving crimes. She knows ballistics, DNA analysis, and digital forensics better than anyone in the District of Columbia. Interests… death, jewelry, the supernatural, Teddy Scares stuffed animals, caffeinated drinks, and bowling (she plays on a league team full of nuns). Relationship Status… involved in a casual romance with office geek Tim McGee. Abby seems to be the only one around NCIS who appreciates McGee, a bookish computer nerd who is an object of ridicule for the rest of the team. Challenge… using her scientific skills to solve NCIS’s high-profile cases. Abby doesn’t believe in luck – she believes in grit. As the most intelligent member of the team, Abby has to put her brains to use in order to connect the dots and find the criminals, all from the cozy space of her high-tech lab. Abby Sciuto's popularity ranking on CharacTour is #106 out of 5,000+ characters. See our top-ranked characters and read their profiles. 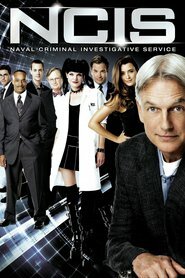 NCIS is an American police procedural drama television series, revolving around a fictional team of special agents from the Naval Criminal Investigative Service, which conducts criminal investigations involving the U.S. Navy and Marine Corps.